We’ve all heard the word “disruption” used to describe e-commerce. Online business disrupt traditional norms, job markets, pricing structures, on and on. They’ve spent a lot of time coming up with affiliate programs and sleek digital marketing schemes, sometimes getting paid with cryptocurrencies. Yet, shippers of products sold on their e-commerce sites have been retrograde when it comes to the environment and to waste. Even if you haven’t heard the one about the solo OREO packed in a big box in an ocean of bubble wrap, you’re probably familiar with the idea of a company ensuring the safety of a product by hiding it in paper, adding some plastic, then bubble wrap on top, with a plate of cardboard over it for good measure, and then the box itself. But keep in mind that overpackaging also includes the most obvious facet of the above scenario, using a box that is just far too big. One size fits all packaging creates more emissions and/or the need for more unnecessary material to keep the item from sliding around. One recent UK study found that 41% of ecommerce packages arrived with what the customer considered to be too much packaging. While online retailers have lagged behind when it comes to being green, their customers are not at all unmindful of the ills of using too many resources. 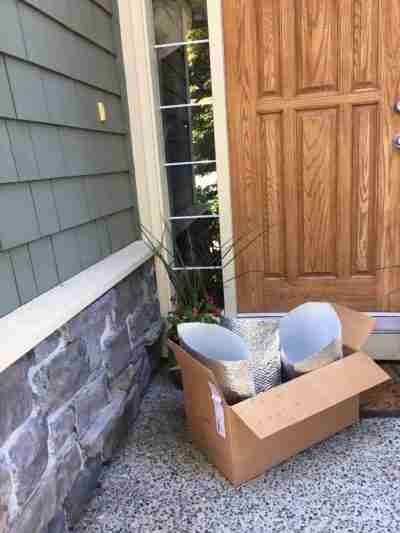 For example, not only has Amazon gotten literally hundreds of thousands of complaints about its overpackaging, but the practice irked enough customers and seemed to present enough of a threat to the environment that a change.org petition went online and fetched 96,000 signatures. A person can decide to recycle a newspaper or to wash plastic spoons for re-use. One can ask the person at the fast food restaurant to include just one napkin. But when it comes to the actions of unseen others–those from whom we’ve bought a product–they have a responsibility. Signing petitions is one way to go about it. One can also look for notes in product descriptions noting eco-friendly or waste-free packaging; one can send an e-mail asking about this. More and more, companies are realizing that being environmentally-friendly when it comes to packaging is not really optional. Waste is probably the biggest concept when it comes to packaging; the number one imperative for e-commerce sellers is to use a minimum of packing materials. As mentioned above, keeping the box as small as possible is also crucial. Recyclable materials are also key. Most of these are self-explanatory, but biodegradable plastic also makes the cut here. The ideal is to use just post-consumer recycled materials. Thrive Market, for example, ships healthy foods all across the country, and uses 100% post-recycled paper for 99% of its shipping. Take it easy on inserts, pamphlets, and other marketing materials. Whereas an invoice or receipt can be good customer service, try to send these electronically. Flyers, advertisements, etc. can be replaced by QR codes that take customers to websites. Think of your box and a very useful marketing tool and try to use it in place of materials to be placed inside of it. Take a serious look at reusable packaging systems. Some companies are making it work. Finally, you have to have a well-regulated packing method that all employees are on board with. And you must make sustainability an integral part of your business and its mission.